Prussian marshal's baton, awarded to Kaiser Franz Joseph I of Austria 1895. Generalfeldmarschall (English: general field marshal, field marshal general, or field marshal; listen ; abbreviated to Feldmarschall) was a rank in the armies of several German states and the Holy Roman Empire; in the Habsburg Monarchy, the Austrian Empire and Austria-Hungary, the rank Feldmarschall was used. The rank was the equivalent to Großadmiral (English: Grand admiral) in the Kaiserliche Marine and Kriegsmarine, a five-star rank, comparable to OF-10 in today´s NATO naval forces. The title of Kaiserlich-Königlicher Feldmarschall ("imperial and royal field marshal") is used in statutes of the Holy Roman Empire to describe senior military officials. The rank existed in the Austrian Empire as Kaiserlicher Feldmarschall ("imperial field marshal") and in the Austro-Hungarian Empire as Kaiserlicher und königlicher Feldmarschall ("imperial and royal field marshal"). Both were based on usage in the Holy Roman Empire. The monarch held the rank ex officio, other officers were promoted as required. Between 1914 and 1918, ten men attained this rank, of whom four were members of the reigning Habsburg dynasty. In 1854, the rank of colonel-general (German: Generaloberst) was created in order to promote William I, German Emperor to senior rank without breaking the rule that only wartime field commanders could receive the rank of field marshal for a victory in a decisive battle or the capture of a fortification or major town. The equivalent of colonel-general in the German Navy was the rank of Generaladmiral ("general admiral" or "admiral-general"). In the Wehrmacht of Nazi Germany during World War II, the rank of Generalfeldmarschall was the highest military rank until July 1940, when Hermann Göring was promoted to the newly created higher rank of Reichsmarschall. The equivalent of a Generalfeldmarschall in the navy was Großadmiral ("grand admiral"). Four weeks after the Heer and Luftwaffe had won the Battle of France, a Blitzkrieg in the Low Countries and France (10 May – 22 June 1940), Hitler promoted twelve generals to the rank of field marshal. Those promoted on 19 July 1940, were Walther von Brauchitsch, Wilhelm Keitel, Gerd von Rundstedt, Fedor von Bock, Wilhelm Ritter von Leeb, Wilhelm List, Günther von Kluge, Erwin von Witzleben, Walter von Reichenau (Heer) and Albert Kesselring, Erhard Milch, Hugo Sperrle (Luftwaffe). In 1942, three other men were promoted—"Wüstenfuchs" (desert fox) Erwin Rommel (22 June) for the siege of Tobruk, Erich von Manstein (30 June) for the Siege of Sevastopol and Georg von Küchler (30 June) for his success as 'Oberbefehlshaber der Heeresgruppe Nord' ("commander-in-chief of the army group north"). Hitler promoted Friedrich Paulus—commander of the 6th Army at Stalingrad—to the rank of field marshal which was announced on 30 January 1943, a day before his army's inevitable surrender in order to encourage him to continue to fight until death or commit suicide. In the promotion Hitler noted that no German or Prussian field marshal at that point in history had ever been captured alive. Paulus surrendered the following day anyway, claiming Ich habe nicht die Absicht, mich für diesen bayerischen Gefreiten zu erschießen ("I have no intention of shooting myself for this Bavarian corporal"). A disappointed Hitler commented "That's the last field marshal I make in this war!" In fact, he appointed seven more. Financially the rank of Generalfeldmarschall in Nazi Germany was very rewarding as, apart from a yearly salary, Hitler introduced a tax free fringe benefits for Generals in the range of Reichsmark 2,000 to 4,000 per month in 1940. He also bestowed generous presents on his highest officers, with Wilhelm Ritter von Leeb receiving RM 250,000 for his 65th birthday from Hitler. 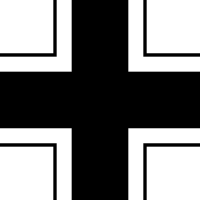 The Nationale Volksarmee ("National People's Army") of the Deutsche Demokratische Republik or DDR (German Democratic Republic, i.e. East Germany) created the rank of Marschall der DDR ("Marshal of the GDR") on 25 March 1982. A general could be appointed to this rank by the Staatsrat (the head-of-state council of the GDR) during wartime or for exceptional military achievement; no one ever held the rank, however. The ranks of Generalfeldmarschall, Generaloberst, Großadmiral and Generaladmiral no longer exist in the new German (until 1990 West-German) Armed Forces, the "Bundeswehr" (literally "Federal Defense") which were created in 1956. Currently, the highest military grades in the reconstituted Bundeswehr are general and admiral. The Commander-in-Chief (German: Inhaber der Befehls- und Kommandogewalt) of the Bundeswehr is in peacetime, according to Article 65a of the Basic Law of the Federal Republic of Germany (constitution), the civilian Federal Minister of Defence (German: Bundesminister der Verteidigung), who holds supreme command authority over all soldiers. In wartime, that supreme command authority is transferred to the Federal Chancellor. The Generalinspekteur der Bundeswehr (Chief of Staff of the Bundeswehr, literally "Inspector-general of the Federal Defence") is the military chief of defence and heads the Armed Forces Command Staff (German: Führungsstab der Streitkräfte). ↑ "Dienen und Verdienen. Hitlers Geschenke an seine Eliten" [Book review: Serving and earning. Hitlers presents to his elite]. www.hsozkult.de (in German). Retrieved 19 March 2016.